Kirkjubæjarklaustur is a unique little village on the South Coast in Iceland. With just over 100 people living in the cluster, there is still a swimming pool, a supermarket, a post office, and a few hotels. Sitting right under a cliff with waterfalls running down the scenery around is simply gorgeous. 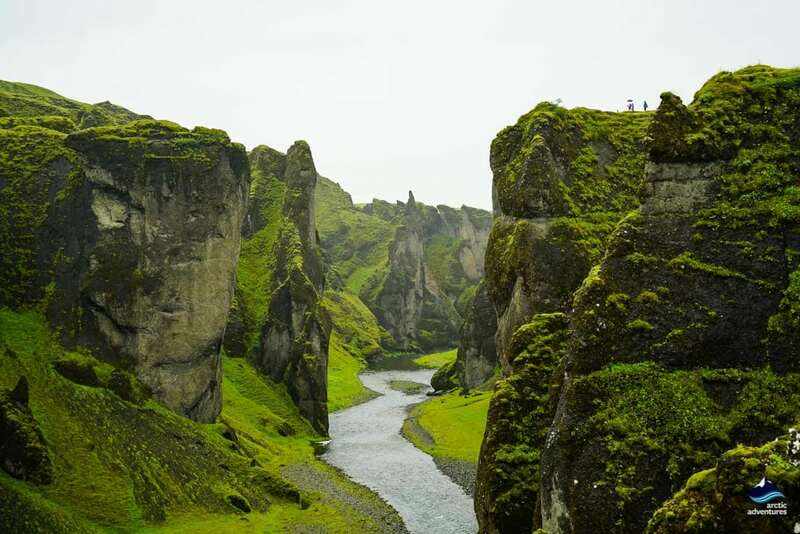 This is the perfect place to stay if you are looking to explore the famous canyon Fjaðrárgljúfur or Vatnajokull National Park. How to get to Kirkjubaejarklaustur? Kirkjubæjarklaustur or as it would be named in English “The Church Farm Covent” is a charming little village on the South Coast in Iceland. 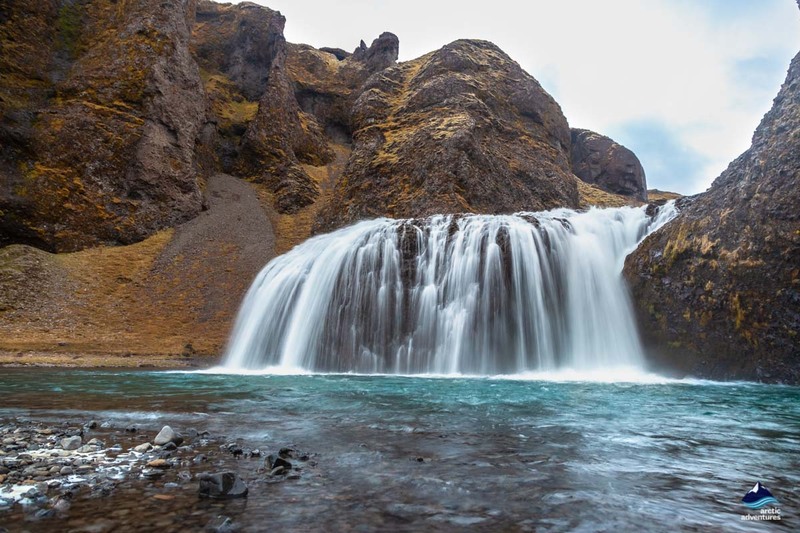 Located right off the famous Ring Road it is a common stop for travelers exploring Iceland. 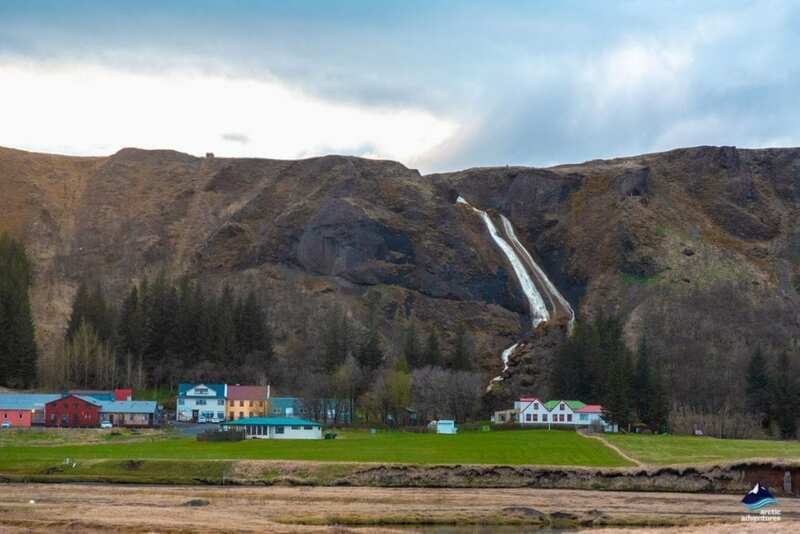 The village has numerous stunning sight to check out including Systrafoss and Stjórnarfoss waterfall, Systrastapi cape, a charming little picnic area beneath the cliffs, Kirkjugólf “the basalt church floor” and the swimming pool which will invite you to take a dip into the local culture. 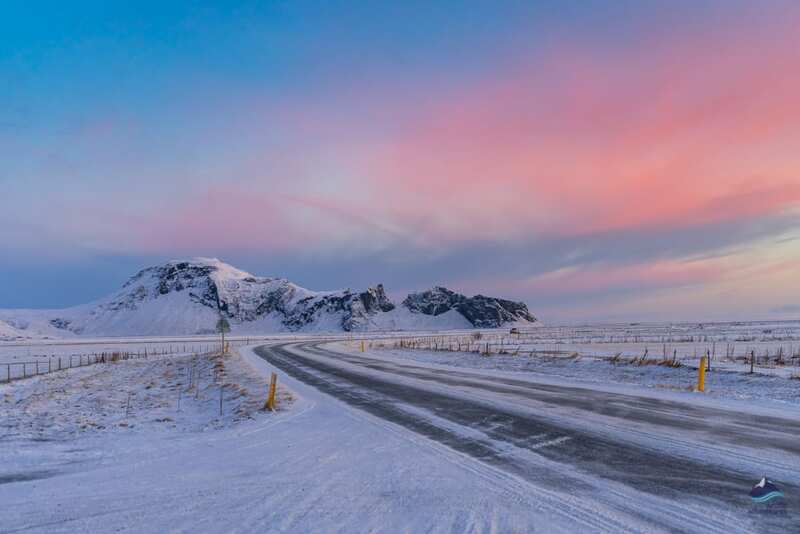 Kirkjubæjarklaustur is a part of the municipality of Skaftárhreppur known for historical volcanic activity and stunning scapes. The whole region has about 500 inhabitants but still, you can find all the basic services you might need, a supermarket, a swimming pool, a post office, a restaurant, a gas station, hotels, camping site etc. 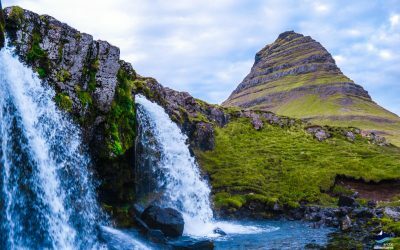 Kirkjubæjarklaustur is a typical Icelandic village focused on agriculture, fish, and tourism with incredible sights and inexplainable authenticity to be discovered. Make sure to add a stop to your Iceland bucket list! 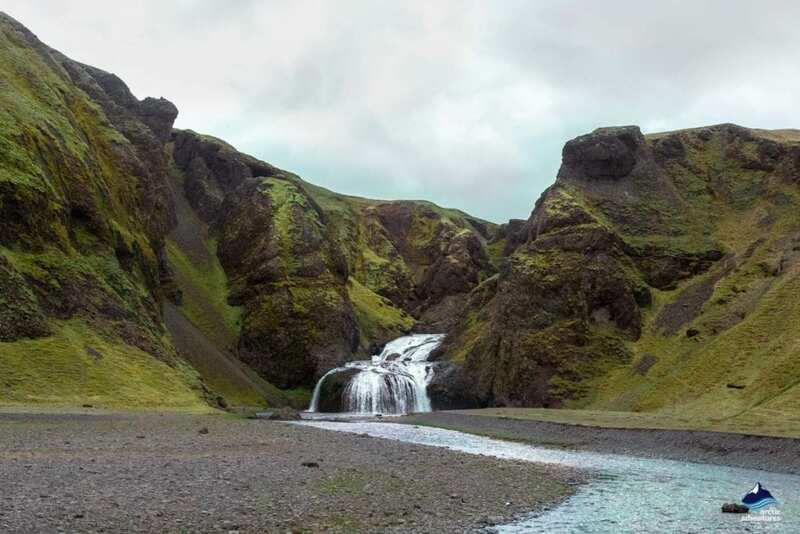 Christian Irishmen are believed to have lived at Kirkjubæjarklaustur before the Norse settlement which later became one of the biggest farms in Iceland. A man named Ketill “the foolish” settled at the location forbidding anyone of the pagan religion to live there with him. The religious strike of the farm village continued as an active convent was situated at Kirkjubæjarklaustur from the year 1186 until the reformation in the 16th century which is very likely to have provided the place with its current name and therefore being the namesake for many of the attractions around. A good example would be Systrafoss e. the sisters falls or the nuns’ falls. Kirkjubæjarklaustur is located in the South of Iceland, a bit East on the South Coast between the towns Vík and Höfn. Kirkjubæjarklaustur is 261 kilometers (162 mi) away from Reykjavík, 74 kilometers (45,9 mi) away from Vík, 203 kilometers (126 mi) away from Höfn and 449 kilometers (278,9 mi) away from Egilsstaðir. Your options getting to Kirkjubæjarklaustur are driving on your own, joining a tour, flying (to Höfn) or taking the public bus. Driving from Reykjavík to Kirkjubæjarklaustur will take you along route 1 over Hellisheiði heath, through Hveragerði, Selfoss, Hella and Hvolsvöllur. Past the beautiful waterfalls Seljalandsfoss and Skógafoss. Through Vík passing Dyrhólaey and Reynisfjara Black sand beach onwards passing Sólheimajökull Glacier and the Ice Cave under the Volcano. 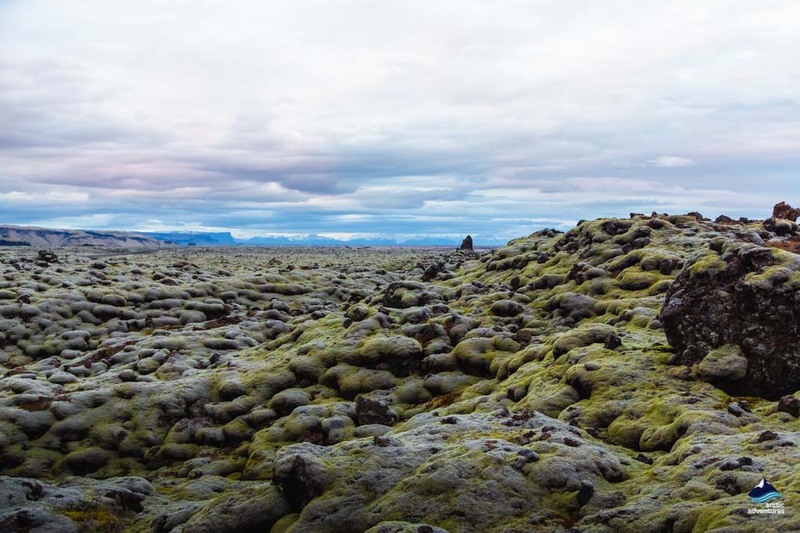 Through the black sand beach plains, you will continue passing the wonderful Fjaðrárgljúfur and soon reaching Kirkjubæjarklaustur. This drive takes about 3 hours and 40 minutes but you should definitely take longer as the stops mentioned before are worth doing. Joining a tour to visit Kirkjubæjarklaustur you have quite a few options see below. If you are looking to fly Höfn is the closest port. Available with Ernir airline. The public bus goes from Mjódd to Höfn with a stop at two locations in Kirkjubæjarklaustur. 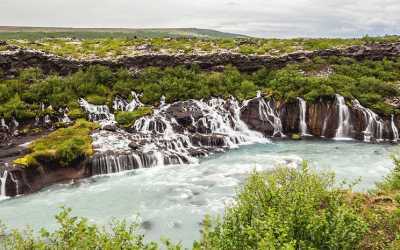 Go hiking and visit Systrafoss waterfall. The waterfall is easily spotted from anywhere in the village and the trail is evident in the grass. 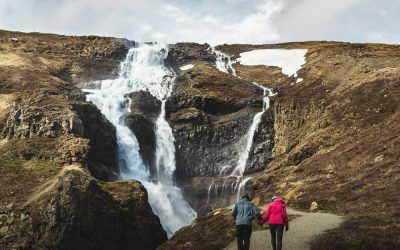 Walk along the gravel road leading to Geirland to witness the beauty of Stjórnarfoss waterfall. 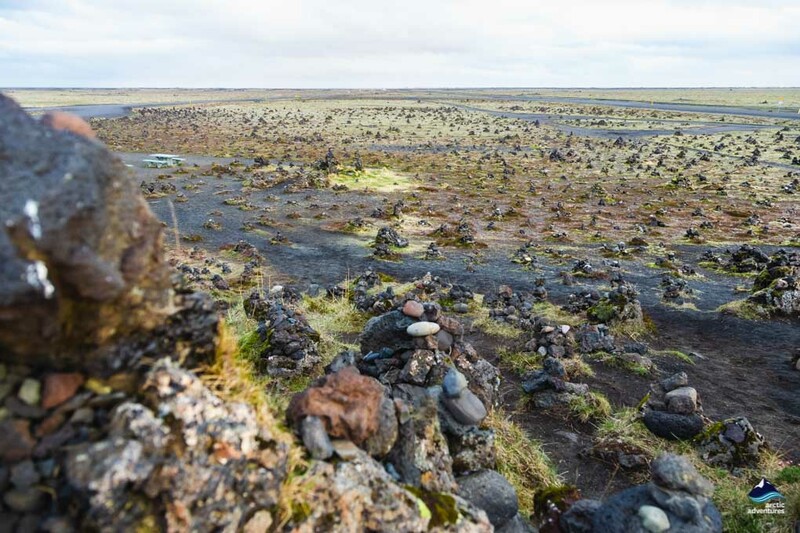 Visit Kirkjugólf basalt column floor, only a walking distance from the village. 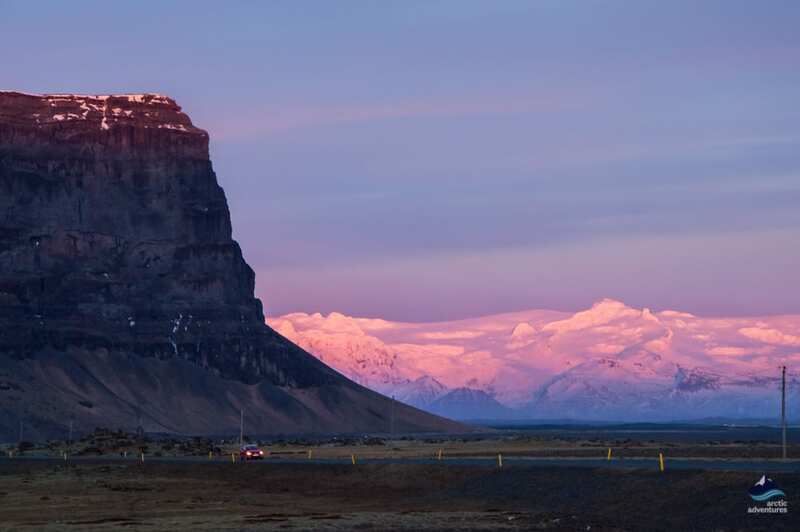 Make a stop at the Skaftárstofa Tourist Info Center and check out the big rooms showcasing all kinds of exhibitions and activities, including one of Vatnajökull and Katla Geopark and another one the Skaftáreldar fires. Try Klausturs Bleikja or the Klaustur Char. Grown in a local fish farm located in a free-flowing stream, it is simply delicious you must try! Rich in Omega 3 and Vitamin D with fatty acid. Go fly fishing, Eldhraun Holiday Homes offer fly fishing experiences. Go swimming in the local swimming pool, open all year round. Join a Glacier Hiking tour on the nearby glaciers! 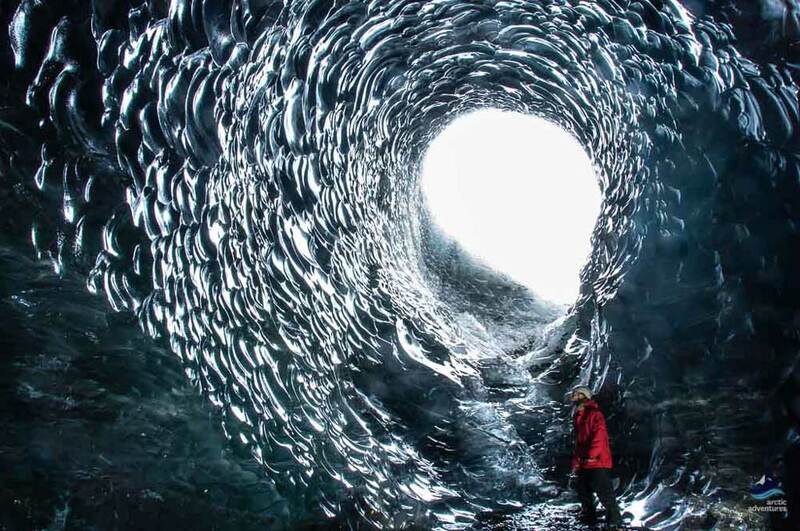 OR if you are visiting in winter, check out the ice cave tours in the Vatnajökull National Park. 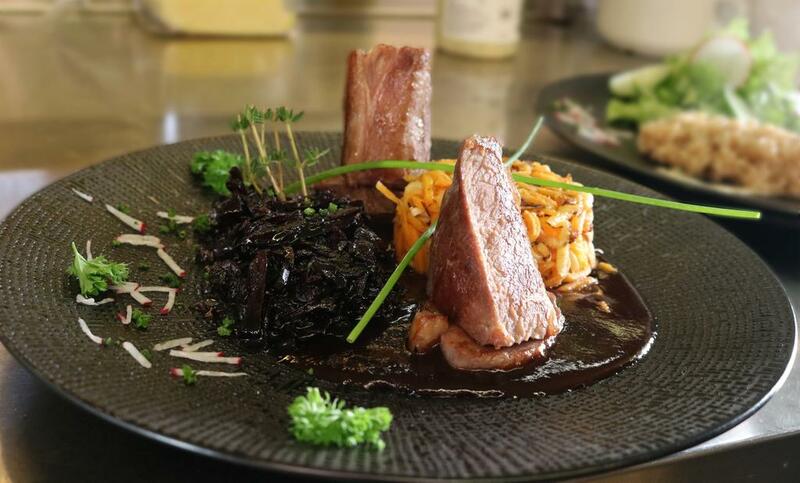 There is a good variety of restaurants and food places to check out at Kirkjubæjarklaustur. If you are looking to grab something quick then the N1 gas station has a fast food BBQ grill, if you are looking to sit down at a café Systrakaffi or Kaffi Munkar is your best bet. 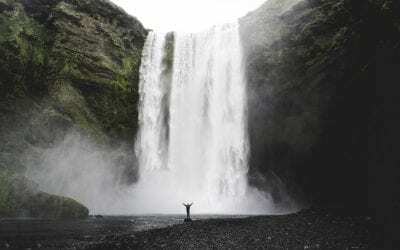 If you are looking for a nice local dinner Adventure Hotel Geirland is lovely but if you are looking to go fancy Icelandair Hotel Klaustur is where you should be heading. 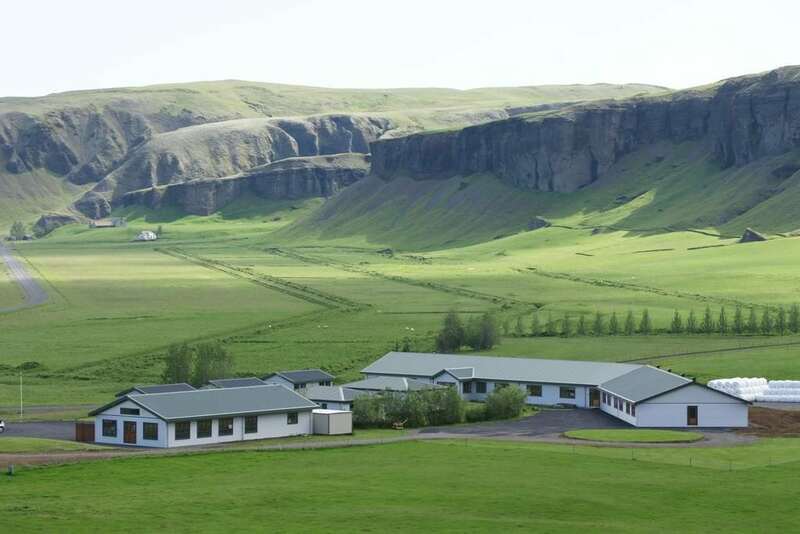 There are plentiful great accommodation options at and surrounding Kirkjubæjarklaustur. Here are the ones with the best rating, the highest being the closest to Kirkjubæjarklaustur. 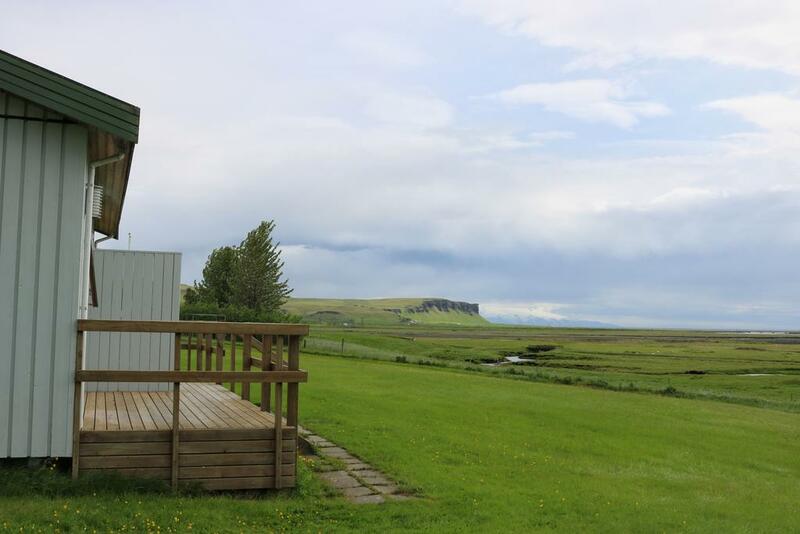 There is a fantastic camping site located in the village right next to Systrakaffi café. The facilities are first-class and include WC, showers (300 ISK), washing machines (650 ISK), dryers (600 ISK), cooking facilities, WIFI, a sports area, running hot and cold water and electricity. Price per adult per night is 1400 ISK. Open from the 1st of June until the 30th of September. Note: Also offers sleeping bag accommodation until the 31st of October. There is a local campground at Kleifar near Stjórnarfoss on the path to Hotel Geirland. It is a simple site with toilets and running cold water. Dogs are allowed and walking paths all around. Price per adult per night is 750 ISK. Open from the 1st of June until the 1st of September. Kirkjubæjarklaustur is a fascinating location in any season with winter being no exception. 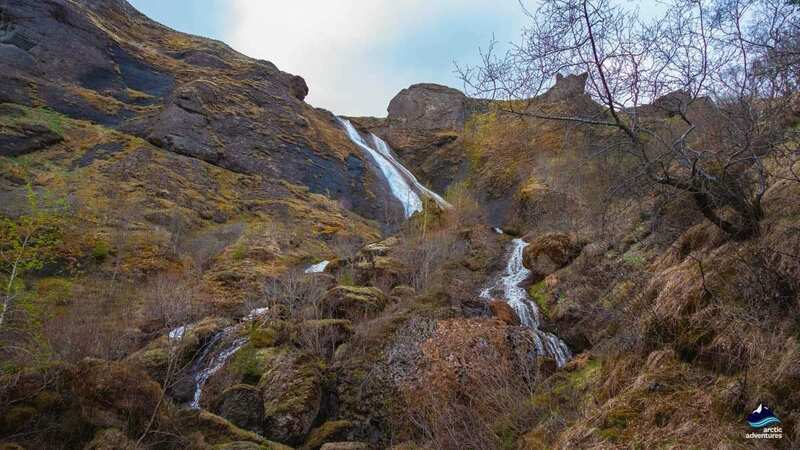 With snow covering the ground from late fall and icicles in the waterfalls Kirkjubæjarklaustur looks like a true Winter Wonderland. The temperatures drop so you will need to dress accordingly. 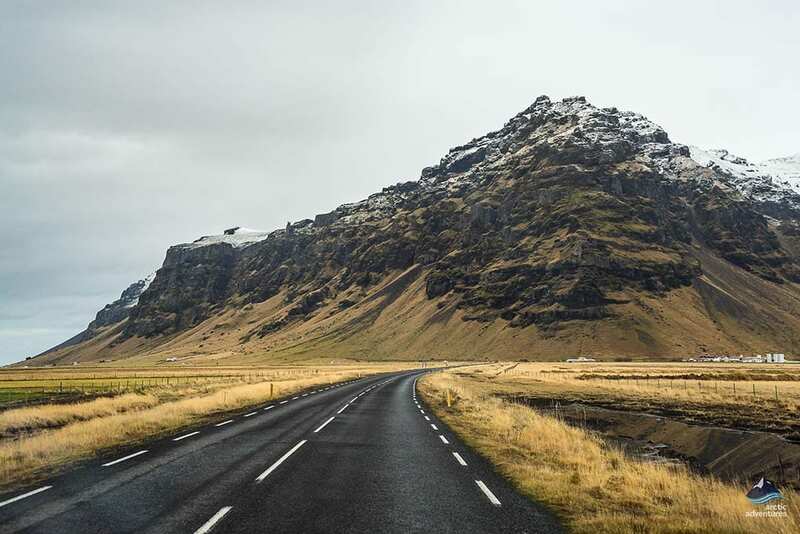 The roads will get slippery and sometimes snow heavy so if you were planning a self-drive adventure and you aren’t used to driving in these circumstances you might want to consider joining a tour. 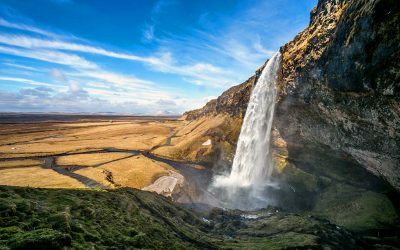 Discover the iconic South Coast with its famous waterfalls, black sand beaches, glacier lagoons and so many other places that you can’t even imagine. 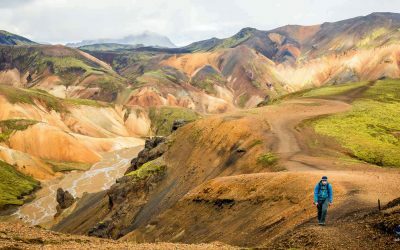 Get a chance to explore the wonderful Highlands at Landmannalaugar geothermal area.